Luc Merenda stars in Shoot First, Die Later. 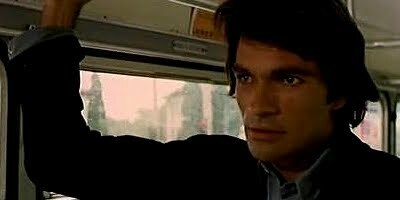 Italian genre master Fernando Di Leo’s 1974 crime film Shoot First, Die Later will be the debut title in the new distribution partnership between Italian film label Raro and U.S. supplier Kino Lorber. In Shoot First, Die Later, Luc Merenda stars as a highly regarded police detective who is taking syndicate money in exchange for departmental favors. His father, a simple man, also works for the department but at a lower level; he isn’t jealous of his son, but rather proud of him, little knowing that he’s a crooked cop. A series of events leads the young detective to ask his father for a tricky favor, and it doesn’t take long for daddy to realize his son is on the take, which leads to numerous complications. Raro’s version of the film, which is considered to be one of Di Leo’s finest, has been restored using the original 35mm negative. The film is set to be a part of Raro’s second Di Leo collection, Fernando Di Leo: The Italian Crime Collection, Vol. 2, a three-disc set which will also include Kidnap Syndicate and Naked Violence.